A council of combined security forces known as the Derg staged a coup d’état on September 12, 1974 against Ethiopian Emperor Haile Selassie I, arresting and imprisoning the monarch who had ruled for decades. 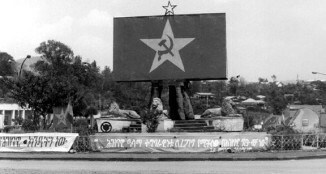 The committee renamed itself the Provisional Military Administrative Council, took control of the government, soon abolished the monarchy and established Marxism-Leninism as Ethiopia’s ideology. Emperor Haile Selassie died in August 1975; some believe his political successor, Mengistu Haile Mariam, was complicit in his death. Why oust someone who led his country for 45 years and who millions of Rastafarians revered as a messianic figure? 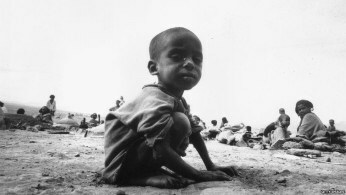 Conditions for the take-over began with the Selassie regime’s failure to undertake economic and political reforms, along with inflation, corruption and drought-related famine in northeastern provinces, so that military unrest quickly spread to the civilian population and ignited a nation-wide revolution. There was general resistance to Selassie’s reign because of an array of grievances including higher fuel prices, curriculum changes in the schools, low teachers’ salaries, poor working conditions in general and the need for land reform. Robert B. Duncan, interviewed by Charles Stuart Kennedy in April 1995, served as Economic Counselor in Addis Ababa, and Parker D. Wyman, interviewed by Thomas Dunnigan in August 1997, held the position of Deputy Chief of Mission. Both served from 1972-1974. Kennedy also interviewed Arthur S. Berger, who served as Assistant Cultural and Information Officer, in August 2003, and Arthur W. Lewis, Public Affairs Officer, in September 1989. Please follow the links to read another account of the fall of Haile Selassie, about Africa, or about coups-d’état. DUNCAN: There was the poverty problem, a very serious problem. But I think the thing that precipitated [the coup] was that they had a very, very terrible drought and it led to a terrible, terrible famine. The government was covering it up. They weren’t, in effect, being open and honest about what a catastrophe this thing was for the country. As a consequence, they weren’t mobilizing the help for the country that they could have if they had been up front about it. I think that, as the famine progressed, the exasperation level grew. In February of 1974, they had the first deposing. They had a military coup. The drought was the preceding year. I arrived in the summer of 1972. There was a drought all that year and the revolution was in 1974. Then we left in June of 1974. The Emperor died in October. I don’t know if they had the absolutely final that he was killed, but it is certainly widely believed. The first impact of the revolution was that we had a number of Americans in the country and we had to get them out. We had advanced inkling we were going to have trouble. So, I had gotten word the night before to contact Americans when we knew where they were to tell them to stay in. The revolution, of course, broke out that night. I’ve often thought of the Ethiopian Revolution as being modeled on the evolution of the French Revolution. When this period took place, there were many Ethiopians who were not aristocratic, but middle class people; not aristocratic in the sense that they weren’t of the titled nobility. 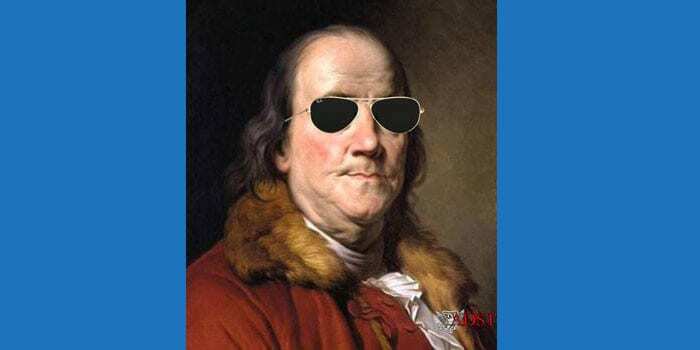 They basically were welcoming the revolution because they thought that it would break the power of what they thought was an anachronistic and, in effect, aristocratic regime. One can argue that the beginning of “La Terreur,” to use the French analogy, began in October of 1974. Our Ethiopian friend had been told a number of the people that had been assassinated which were friends of his. I suppose, looking back at it, I think of that situation as being so sad because the Ethiopians were in certain respects less developed than many of the colonized African countries, but they had achieved quite a bit on their own. The subsequent period set them back a generation. WYMAN: There was a great deal of discontent because Ethiopia was one of the very least developed countries in the world. It was very hard, however, to figure out whether anything would soon result from that discontent, what form it would take, who would carry it out. 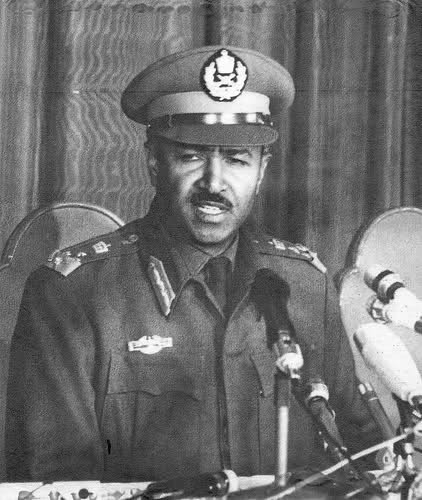 It was the conventional wisdom (and by that I mean the view held by everybody I talked to out there, including lots of Ethiopians as well as people in other embassies) that there would be no serious threat to the existing regime as long as the aging emperor was still in place. When he died, that would be a new ball game. This conclusion seemed reasonable. There had been an attempt back in 1960 to carry out a coup d’état while the Emperor was out of the country, but he had rushed back and quickly snuffed it out. Since then, the situation had been quiet. That brings us to how the situation changed so radically. Midway in my three year assignment in Addis, Ambassador [Edwin Ross] Adair retired for health reasons and went home. I became Chargé d’Affaires for a period which turned out, surprisingly, to be thirteen months. 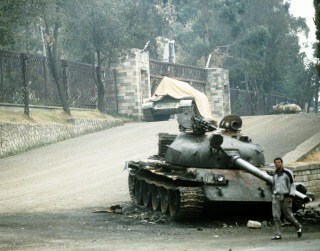 Four days after the ambassador left, the Ethiopian Revolution started. Its origin was hidden from public view, however. 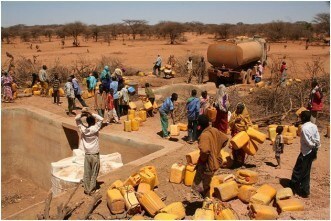 Apparently there had been a severe shortage of water at one of the Ethiopian outposts in the Ogaden Desert. The army had a number of these outposts there so they could quickly detect any Somali attempt to invade that area surreptitiously. There were perhaps 30 or 40 enlisted men and three or four officers at this particular outpost. When the water shortage occurred, the officers insisted on taking most of the water for their own use. The enlisted men decided they just couldn’t live on their meager daily ration of water and mutinied. 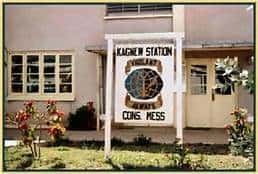 You might have thought that would be the end of it, but the amazing thing is that the enlisted men who had done this then broadcast on the military radio network what had happened. Probably they thought that they were less likely to be punished if enlisted men in other Army units knew what they had done. Soon after their broadcast had been heard, enlisted men at a couple of other military outfits presented other kinds of demands to their own officers. They too were successful. Then the newspapers began to pick this up and report these incidents. The next day, instead of two incidents, you’d read about four incidents. As some civilian groups such as teachers and taxicab drivers read about this, they decided that this might be a good time for them to see if they couldn’t win some advantage. So they presented their demands and the crisis continued to grow like the traditional snowball that turned into an avalanche. Then all military units sent representatives to Addis to present their combined grievances to the central government. The ones sent were either junior officers or non-commissioned officers, and tended to be the most radical and vociferous in their units. Those representatives then formed a committee in Addis which was called the “Derg,” a word which simply means “committee.” One of those men was Major Mengistu, who would gradually come to dominate the entire group by methods which included murdering his rivals. The reason we used that expression was that there had been many military coups d’état in various African states, but they had all been very rapid. Soldiers would come in the middle of the night and shoot the president and take over the palace and then announce a new government the next morning. This wasn’t like that. Gradually we began to see the collapse of the entire previously existing power structure. It became obvious that the new civilian government was being manipulated by the Derg, and we heard more and more of Mengistu’s influence in the Derg. Its members had gone way beyond the role of presenting grievances and were calling the shots themselves even though Haile Selassie was still emperor and there was still a civilian government. By this time many of the most influential people in the country had been arrested and thrown into the same prison in Addis. Finally the military arrested the emperor, put him under house arrest, and installed General Aman Andom as the new Head of Government. The next day, the Ministry of Foreign Affairs telephoned me and asked me to call on General Andom (seen left) three hours later. After a few seconds of hesitation I agreed to do so. When I arrived, I found that television cameras had been assigned to record this call, and later the calls of the British and French ambassadors, as proof that foreign countries recognized the new government. The Department subsequently agreed with the decision I had made. From the standpoint of American policy, the major issue continued to be that of military assistance. Aman Andom’s government believed, just as the previous civilian governments had, that there was great danger that Somalia might soon attack Ethiopia, with Soviet support, and try to seize a huge chunk of the country. So they wanted a great increase in military assistance from the United States. I did my best to explain our position to General Aman Andom. I should emphasize that we did not take nearly as serious a view of the Somali threat as their government did. Our government thought they were much too alarmed on this score. It wasn’t likely, in their opinion, that Somalia would attack Ethiopia. So, quite frankly, for the only time in my life I ignored the Department’s instructions and presented the matter as seemed best to me. I put the emphasis on the decisive role of Congress concerning appropriations for military assistance, and on the overwhelming impact of the Vietnam experience on Congress in that regard. I mentioned that not everybody in Washington thought the Somali threat was as large as they did, but I only mentioned that in a very minor key. Furthermore, in my reporting back to the Department, I went over that part of the discussion very briefly. Looking at subsequent events, I feel they proved that I had been right. Later on, Somalia did attack with the help of all that Soviet equipment and gave the Ethiopians a terrific battle. The only thing that saved the Ethiopians was the fact that, by that time, the Soviets had switched to the Ethiopian side, which was an incredible story in itself. The Somalis, seeing that switch occur, had obviously decided that they had better attack before Soviet aid began to strengthen the Ethiopians. All that shows that it made sense for me to avoid telling the Ethiopians we wouldn’t provide additional aid because the Somali threat was much exaggerated. 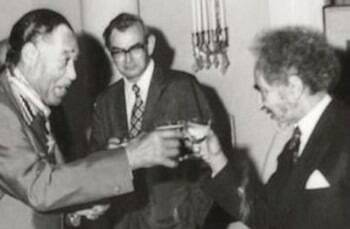 BERGER: Ethiopia, of course, was an absolute kingdom led by Haile Selassie. There was a small parliament that didn’t have any power whatsoever. There was a cabinet that supposedly ran the government. But the power was with the king, his family, certain people in the government that were either related to him or from the Amhara tribe. It was a beautiful country. Incredibly poor but a very exciting place because the culture – at least to me – felt so unique. It was a beautiful country with fantastic weather and sights that are hard to find anywhere else in the world. 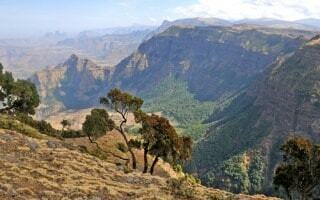 Ethiopia is very well isolated by the high mountains. It is part of the high rift valley area. We had a wonderful experience there. And Ethiopians were incredible people. Haile Selassie was overthrown in what was called the “creeping coup” from February ‘74 to September ‘74, when he was arrested from the palace. During that intervening time, what they called the “Derg,” a military committee, overthrew him and arrested, and in many cases executed, almost everybody who was around him, all the military, the government officials, high level people. They instituted a Marxist state. The relationship with the United State with Ethiopia became colder and colder and colder. [The Ethiopians were] very proud of their heritage, always appreciative if somebody tried to learn a few words of their language, because it was so difficult. There were some incredible artists that I got to meet there. Ethiopians have a very rich history, a magnificent history, unique in Africa. Unique in the world, for that matter. I got to know a lot of Ethiopians. You see a picture on my wall of Haile Selassie and Duke Ellington. I took that picture in November of 1973. Ellington and his band came to Ethiopia as part of an “American Ambassadors of Song.” And I was the program officer, the impresario, so to speak. Not very long before I left there was the first terrorist bombing that I ever observed. There was opposition to Haile Selassie. There was opposition because of the lack of compassion for people. There was a big famine during that time in the early ‘70s – and that was part of the reason why he was overthrown. But then in spring of 1975, there were some terror attacks against government installations. One of them was a bombing of the city hall, which was right across the street from the U.S. cultural center. And it blew out most of our building. It killed a number of people in the city hall. It was really frightening. All of our public programs had stopped. I had heard from somebody in the Ministry of Education that they were shut down and they threw away all the books because they were American books. My wife had a job teaching at the university, a sociology course. Funny, she had gotten the job not long after the revolution began, in fact. It was her first teaching job that she ever had. She worked hard to prepare a curriculum. That was the end of her teaching career. Then the government, over a period of many, many months, closed down the university and took all the students and sent them out to collective farms. Destroyed the university, destroyed the farming, closed down the medical school, everything. LEWIS: There had a just been a drought in Welo province, which is in the Ethiopian north. 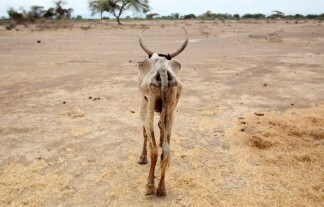 This drought had been probably responsible for the death of a quarter of a million people. 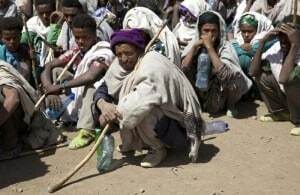 This was not the first drought that had struck Welo or that had struck Ethiopia. There was a lot of unrest in the country. We were the major aid donors to Ethiopia. It is said that we did not respond to the drought with adequate force. It is said that for political reasons, the Emperor wanted this to happen and we allowed it. I am not sure about that. Shortly after the Emperor was arrested, a number of members of the royal family were also taken. A number of the “old guard” were executed one Saturday night. Changes began to take place; neighborhood organizations were set up; our political and military relationships began to deteriorate. Finally, our relationships with Ethiopia went down to zero. [The arrest of the Emperor ] was a surprise. No one really thought that the Emperor would be harmed. No one really understood. To the best of my recollection, the Embassy’s recommendations were to be more activist than the Executive Branch wanted to be. A lot of it had to do with the way policy-makers in the State Department perceived Ethiopia — how important was it in a global context? We know that during the Kissinger period we saw things in a global context rather than regional. Therefore, Ethiopia became a “second-hand” player, or less of a player, because of the globalization of foreign policy.